Fr. Jacob Kurien was born in India in 1950. 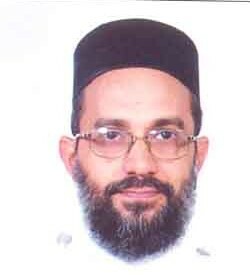 He teaches at the Orthodox Theological Seminary since 1978, and is a priest of the Malankara Orthodox Syrian Church since 1979. Fr. Kurien served as the first co-secretary of the Joint International Commission for Catholic Church and Malankara Orthodox Church, and continues to be the member of this commission. As the secretary for Inter-Church Relations of the Malankara Orthodox Church, he served as a member of the Standing Commission, Faith and Order of the WCC for one term. He was one of the speakers at the Faith and Order Plenary Assembly in Kuala Lampur, and one of the three respondent-speakers at the Plenary Session on Church Unity at the WCC assembly, Porto-Algre. He was also one of the drafters of the document on Religious Plurality and Christian Self-Undertsanding' ( a joint work of WCC Dialogue Desk, Faith and Order and WCC). He edited the book On Ecumenism' written by Dr. Paulos Mar Gregorios.